The I.D. is pictured in camouflage undergoing tests in South Africa. 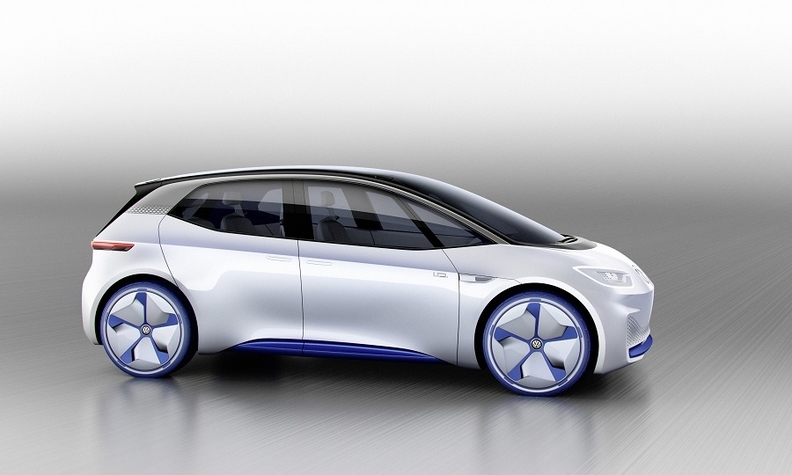 FRANKFURT -- Volkswagen may offer European customers the chance to place a deposit on a new I.D. full-electric car in the first half ahead of the model’s production start in November and market launch in early 2020. 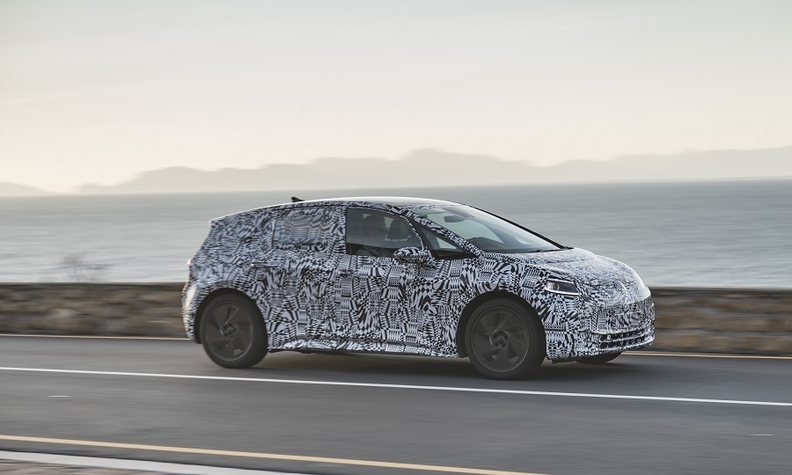 The ID hatchback is the first of a wave of new-generation EVs planned by VW. It's about the size of a Golf and will be sold at prices roughly equivalent to a diesel version. People paying a deposit will be among those who get the first production, so VW wants a “serious commitment” from customers, he said. The deposit will not be a large amount of money, Stackmann said, but it will be more than the customer just saying "keep me informed." Stackmann denied that the pre-booking plan was a public relations gimmick to whip up interest for the I.D. He said customers in EV-friendly countries such as Norway and the Netherlands would jump at the chance to reserve their I.D. early, even if paying deposits for cars if not usual in their countries. “We have tested it several times in Norway and the customers want it. It’s surprising but people in Norway and Holland want to be a part of it. Germany is definitely not the pacemaker in Europe,” he said. Stackmann said its Norwegian sales team already believes the market could comprise 10,000 pre-bookings for the I.D. The I.D. has a similar length to the Golf at 4250mm, but its wheelbase is about 100mm longer and so offers more space in the rear. It is likely to have a driving range of between 330 km (205 miles) and 550 km (342) under Europe’s new WLTP testing regime. The I.D. concept car (shown) is close in appearance to the production model that will go on sale in early 2020. Critics however suggested it also served a secondary purpose of providing short-term liquidity to a company notorious for burning cash. By taking $1,000 deposits, it could slightly be minimizing the upfront drain on working capital. (In the middle of this year, Tesla changed its policy to require non-refundable $2,500 down payments). For I.D. production, VW is not constrained by capacity constraints nor liquidity problems. VW is investing 1.2 billion euros to convert its factory in Zwickau, Germany, to build up to 330,000 electric vehicles per year, including the I.D. and sister models for Audi and Seat based on its MEB electric-car platform.